Mont Blanc (15,782') peeks in and out of clouds swirling around the summit from Col De la Seigne (8,254'). 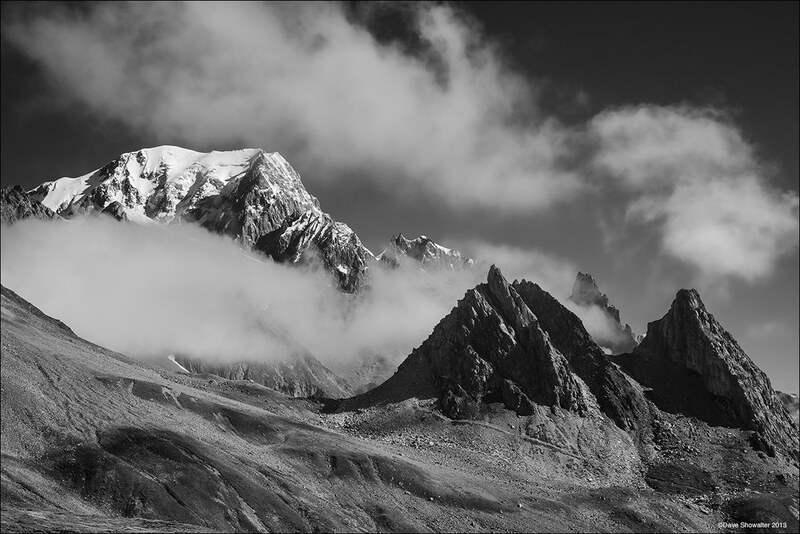 The image was made while trekking the Tour De Mont Blanc, a classic hut to hut circumnavigation that travels through France, Italy, and Switzerland. Photo © copyright by Dave Showalter.